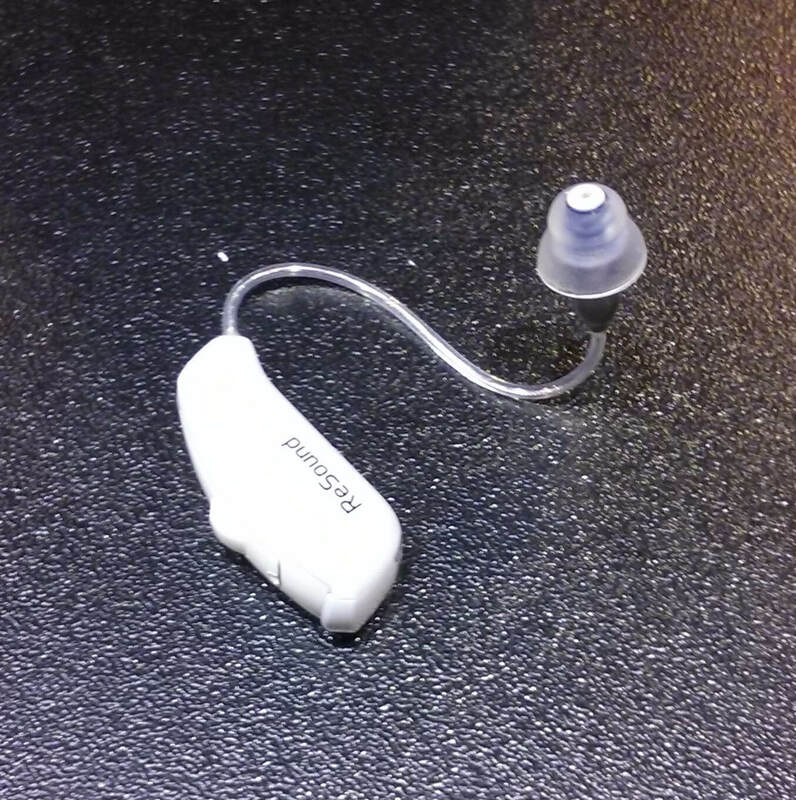 Danish firm ReSound launched their iPhone-connected hearing aid, LiNX, at the Gadget Show. 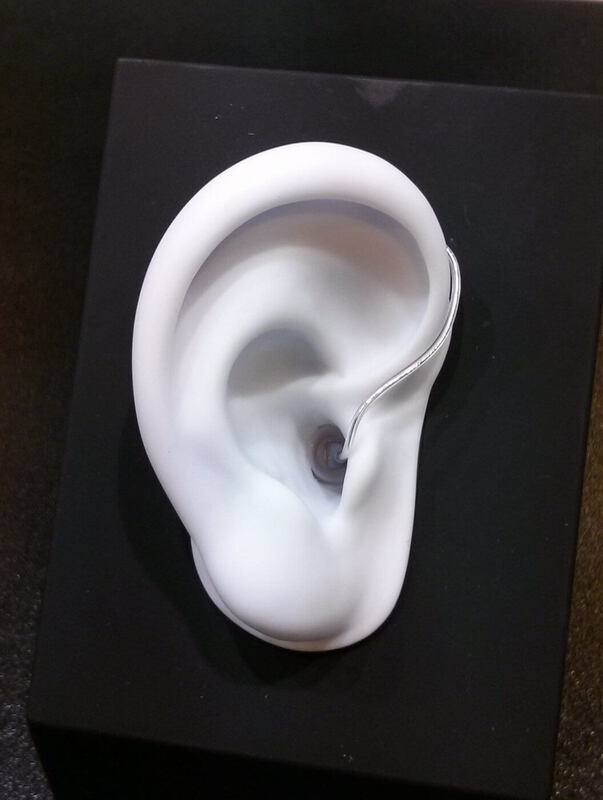 The world’s first “Made for iPhone” hearing aid uses both the technology and usability features of the Apple iPhone to bring hearing aids to a generation of users who expect more from their technology than the current generation of aids. The hearing aid itself is discrete and fits neatly over the ear and pairs with the iPhone much like any other Bluetooth headset. Once this is done, the benefits of having a smartphone-connected hearing aid become apparent. Starting with the obvious, phone calls can be re-directed from the phone to hearing aid, again just like a Bluetooth headset. 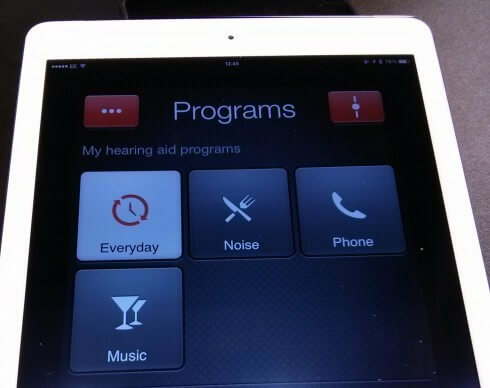 Similarly, audio from music and video apps will play through the hearing aid, giving the wearing a much better experience than they’re used to. Moving on, an iPhone (or iPad) app lets the amplification level be adjusted from the iPhone without fiddling around the ear. Who thinks anything of anyone using their smartphone in a public place now? The frequency response can be adjusted too, suiting both the wearer and the environment that they find themselves in, whether at in the quiet at home or a noisy restaurant. Background noise can be filtered out and speech enhanced. This is where it starts to get really clever. By using GPS and geo-fencing to locate the user, previously saved settings can be automatically selected based on location. For example, if the wearer frequently goes to a local bar, the GPS location and hearing aid settings are saved so that the next time the wearer goes to the bar, the settings are reused. 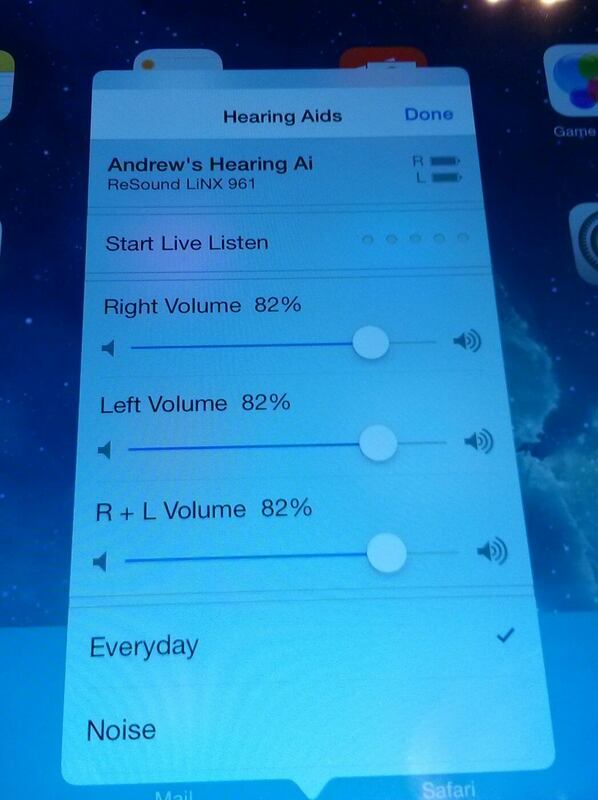 David from GN ReSound takes me through the features of the ReSound LiNX in more detail. After the interview I had an “ears-on” trial of the LiNX and it was impressive with a well-designed app. I’m not hearing-impaired so can’t comment on the audio enhancing features, but I could hear the effects of the different frequency responses.